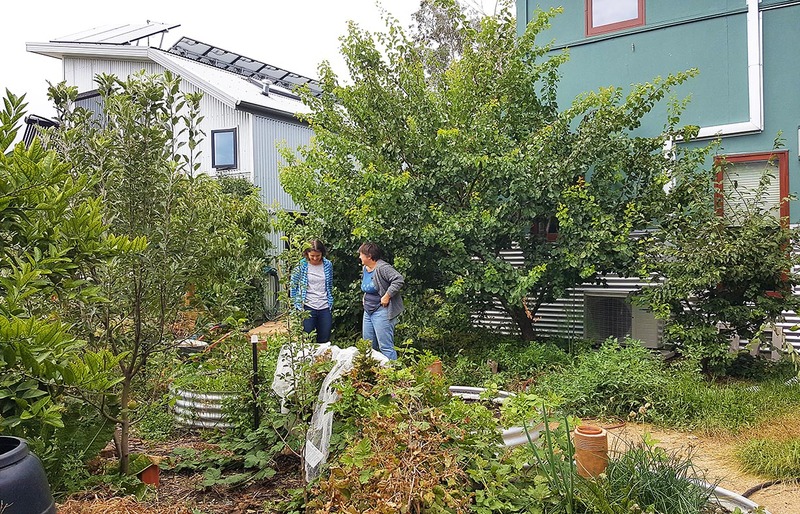 Elizabeth Wheeler (right) and her neighbour Lizzy Skinner share their back garden space in Preston in Melbourne’s inner north, and there is also a gate through to a third neighbour’s yard. 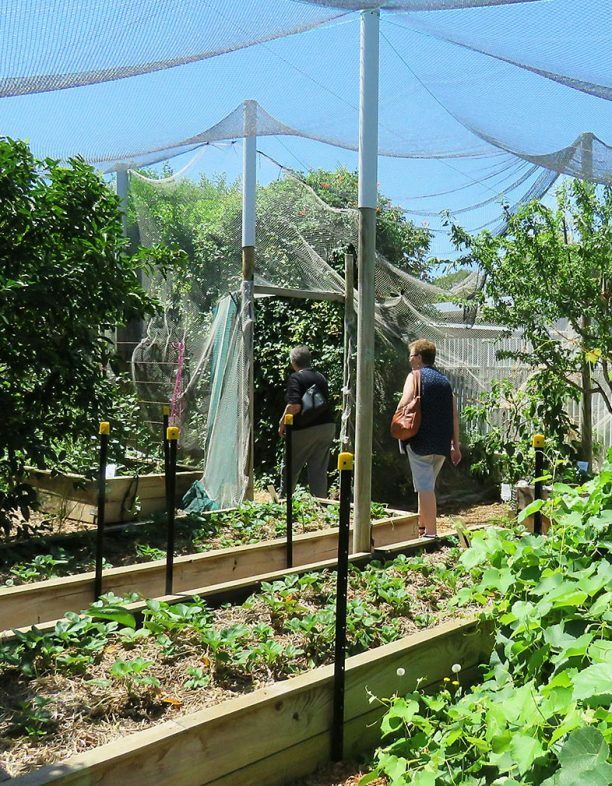 Along with fruit trees, vegie beds and compost, the three households share two clotheslines, a trampoline and a BBQ. 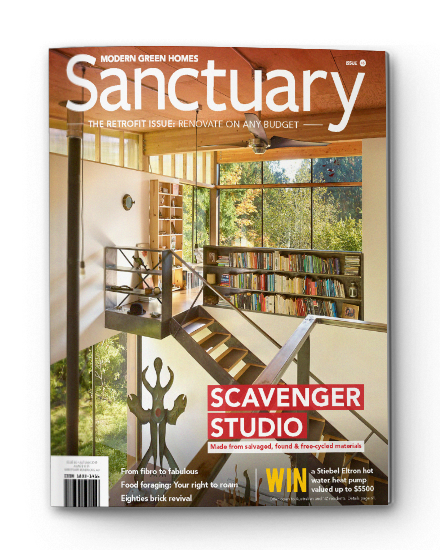 Both Lizzy and Elizabeth’s houses were designed by Positive Footprints; read all about Elizabeth’s 9-Star home in Sanctuary 18. 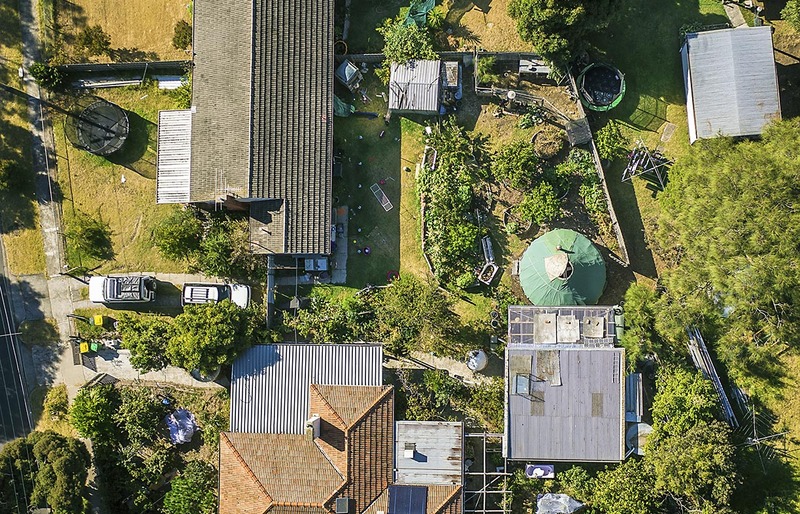 Shared backyards were common in Australia before the Second World War. After the war, as suburban affluence and a desire for privacy increased, fences began to appear between backyards. During the 1990s, as blocks were subdivided and larger houses were built, the size of those backyards shrank. But as more households transition to greater resilience and green space, shared yards are on the rise. During the depressions of the 1890s and 1930s, backyards were places of food production and social cohesion, but these days, as people work longer hours and spend less time at home, the function of the backyard has lessened. 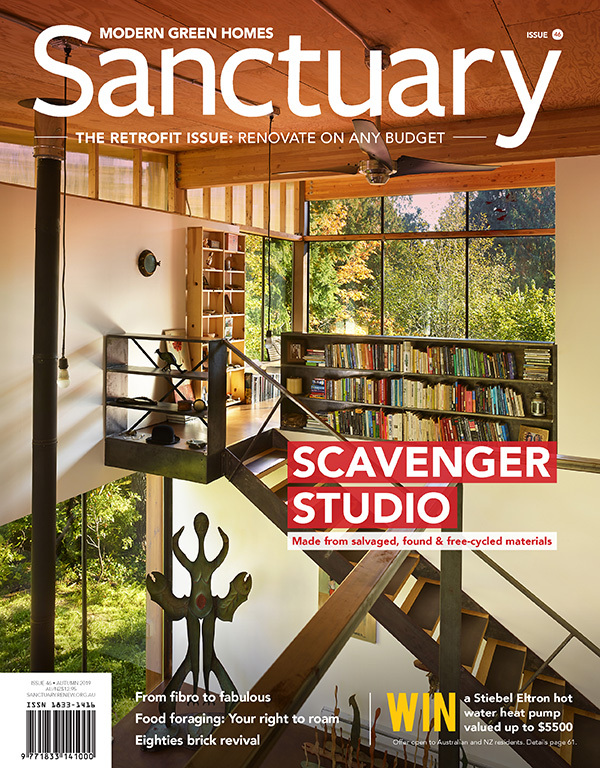 In The Life and Death of the Australian Backyard (2010), Tony Hall writes that the “examination of aerial photos immediately reveals the clear contrast between older residential areas dominated by vegetation and newer estates that are nearly roof-to-roof.” This loss of plants around houses has ecological implications—shade trees modify the microclimate, and plants sequester carbon, increase biodiversity and reduce stormwater run-off. 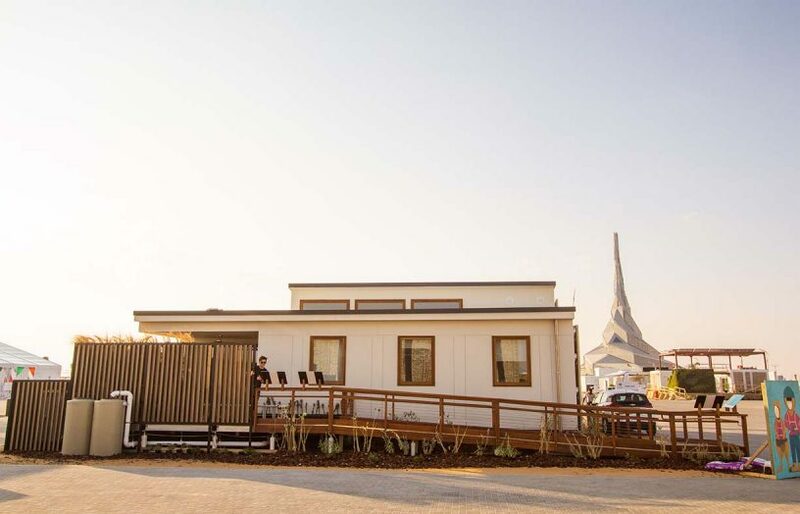 But some households have been tearing down fences, putting gates between backyards, and designing from scratch so that there are no fence boundaries between properties. 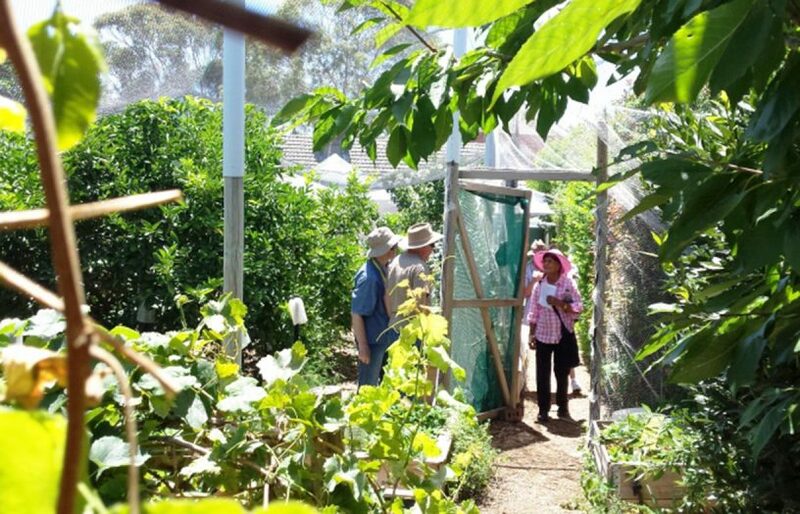 Tearing down opaque fences improves solar access and economies of scale – a lemon tree in full sun in one yard, and a large (read: hotter) compost in the other results in more fruit and faster composting. 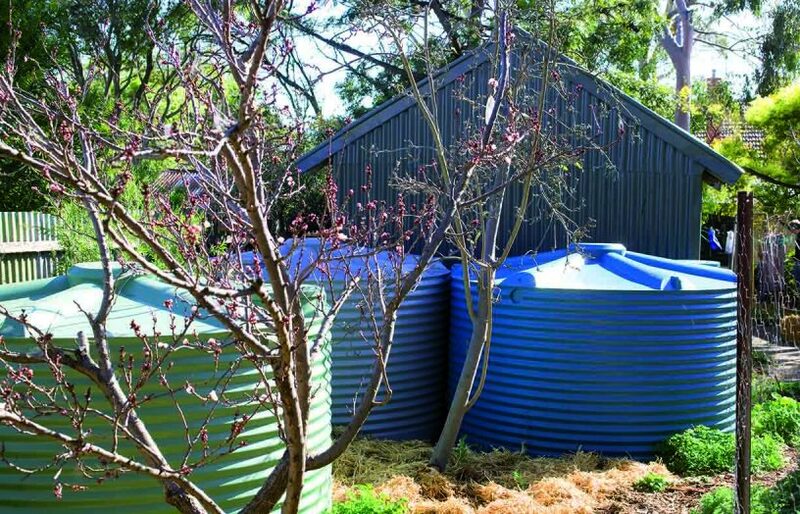 People save time and money by sharing infrastructure such as water tanks and greywater systems; tools such as lawnmowers and shovels; and tasks such as summer watering or pruning. 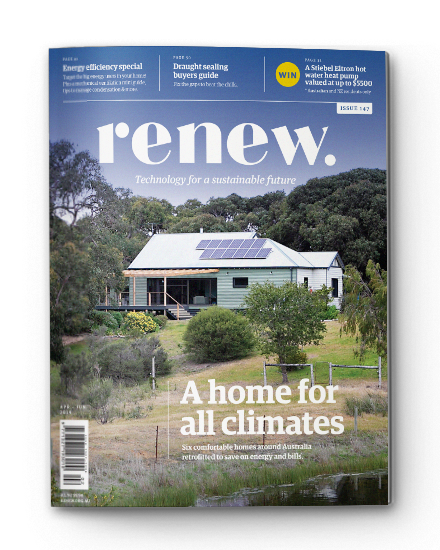 Elderly neighbours are less isolated, and children have greater space to play with shared treehouses, trampolines and chooks. 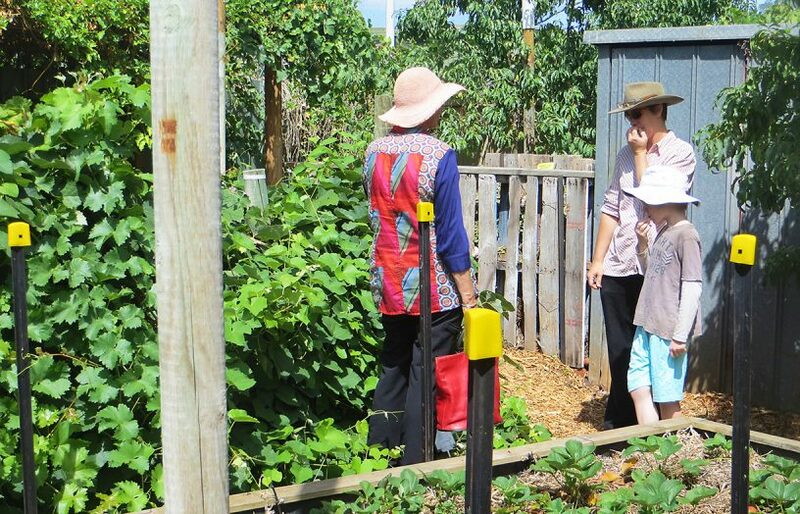 Twelve years ago neighbours Joe Kielnerowski and Rosanne Parker started Joe’s Connected Garden, a project which follows permaculture and organic principles, by putting in a gate between their backyards. 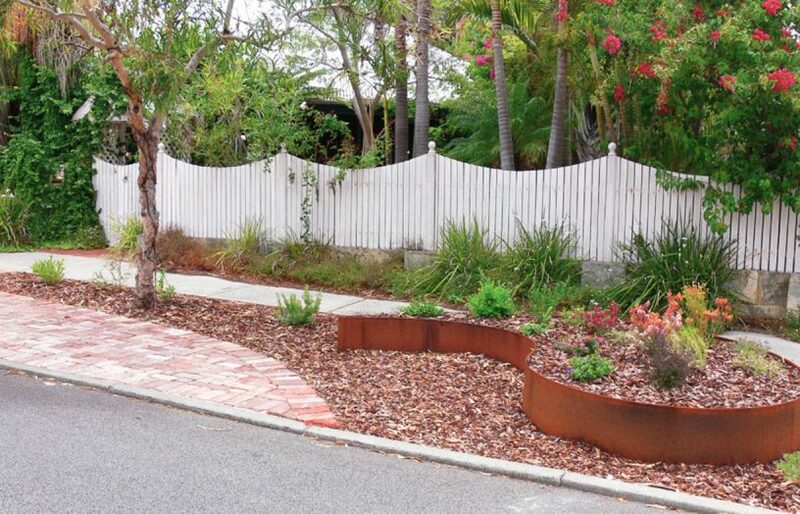 Shared yards can be the province of large fruit and nut trees. 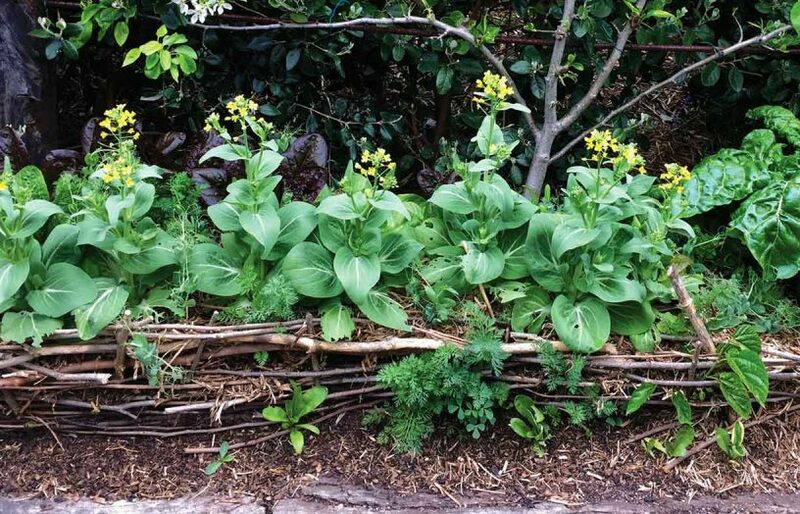 And in Joe’s Connected Garden they’re growing around 600 different varieties of fruit, vegetables and herbs including Mediterranean, native, subtropical and exotics. They give away excess produe from the gardens and the 150 fully mature fruit-bearing trees. They are assisted in their toils by volunteers and friends who bring different skill sets to the task. An informal exchange has grown along with the plants. Joe keeps spreadsheets and installs largescale watering systems, and while Joe is at his full-time job, Rosanne, who is retired, waters the gardens and writes about the garden for social media. 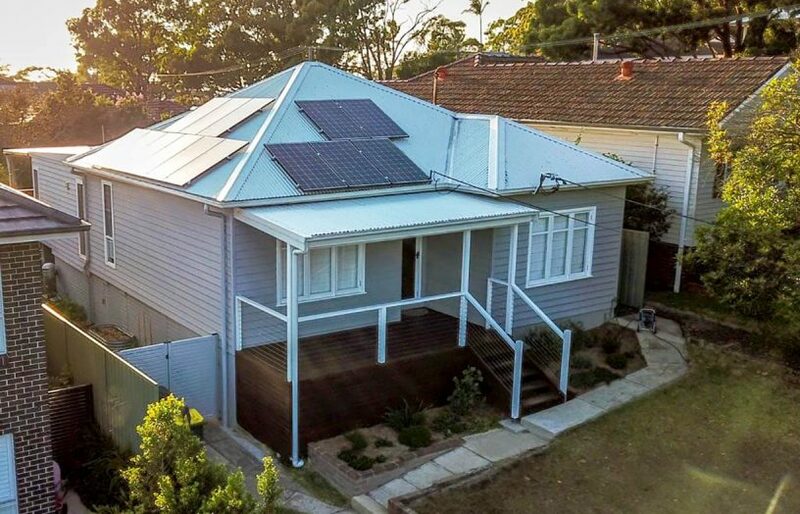 If you have attended a Sustainable House Day in Melbourne, you may have encountered a shared backyard in Clifton Hill where six houses share backyard access. Each property retains its own title but the homeowners have removed most of the fences so that each house and garden is accessible rather than formally shared. I’m in Ed Smart and Jenny Backholer’s kitchen eating pancakes when Chris, a neighbour, appears at the kitchen door and wanders in for a chat, followed moments later by a backyard chook. The project involved the co-ordinated purchase of adjacent blocks. When Chris bought his property in 1992, Ed and Jenny had already removed some fences. He didn’t want to erect a fence straight away because he was “intrigued”. In the end, no fence went up. “In the first 10 years or so there was almost a BBQ a week,” Chris laughs. Where many terrace backyards feel poky and prove challenging for gardening, the absence of fences here results in ample space and sunlight for citrus, grapevines, raised vegie beds, chooks, a patch of lawn, large compost heaps and large shade trees (robinia and cedar). An informal share economy operates. They share freshly baked muffins, vacuum cleaners, washing machines and sometimes cars. A man with a young child has moved in next door and there is talk of putting in another gate.